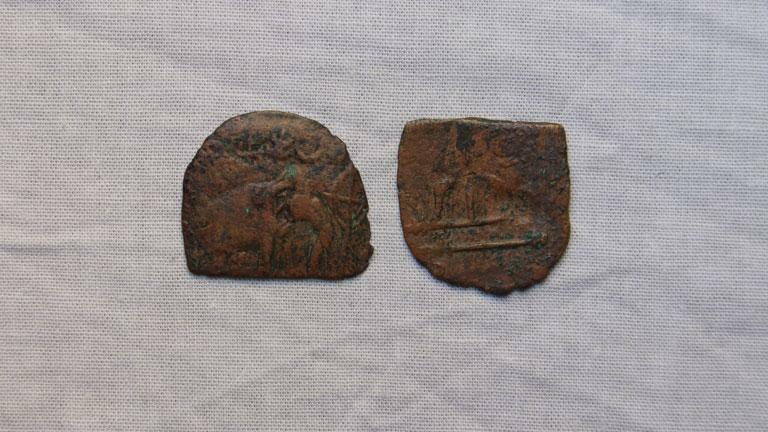 The coin belongs to the Sangam Age. It was used during the rule of the Chera Dynasty (1st – 5th C CE) Obverse: An elephant facing towards the right in standing posture can be seen. Along with this Swasthika, sun, wheel, conch, sreevatsa, crescent etc. are also visible. Reverse: Bow and arrow along with an ankusa below it are clearly visible.